Click For More Info 2007 - 2012 ACADIA ALL V6 3.6 ALL ALL ALL DENSO is the OE supplier for this vehicle; OE-specified Oil included. Click For More Info 1996 - 1997 C1500 ALL V8 6.5 ALL ALL ALL OE recommended replacement part. OE-specified Oil included. Click For More Info 1996 - 1998 C1500 ALL V6 4.3 ALL ALL ALL OE recommended replacement part. OE-specified Oil included. Click For More Info 1996 - 1999 C1500 ALL V8 5.0 ALL ALL ALL OE recommended replacement part. OE-specified Oil included. Click For More Info 1996 - 1999 C1500 ALL V8 5.7 ALL ALL ALL OE recommended replacement part. OE-specified Oil included. Click For More Info 1996 - 1999 C1500 SUBURBAN ALL V8 5.7 ALL ALL ALL OE recommended replacement part. OE-specified Oil included. Click For More Info 1996 - 1999 C1500 SUBURBAN ALL V8 6.5 ALL ALL ALL OE recommended replacement part. OE-specified Oil included. Click For More Info 1996 - 1998 C2500 ALL V8 5.0 ALL ALL ALL OE recommended replacement part. OE-specified Oil included. Click For More Info 1996 - 2000 C2500 ALL V8 5.7 ALL ALL ALL OE recommended replacement part. OE-specified Oil included. Click For More Info 1996 - 2000 C2500 ALL V8 6.5 ALL ALL ALL OE recommended replacement part. OE-specified Oil included. Click For More Info 1996 - 2000 C2500 ALL V8 7.4 ALL ALL ALL OE recommended replacement part. OE-specified Oil included. Click For More Info 1996 - 1999 C2500 SUBURBAN ALL V8 5.7 ALL ALL ALL OE recommended replacement part. OE-specified Oil included. Click For More Info 1996 - 1999 C2500 SUBURBAN ALL V8 6.5 ALL ALL ALL OE recommended replacement part. OE-specified Oil included. Click For More Info 1996 - 1999 C2500 SUBURBAN ALL V8 7.4 ALL ALL ALL OE recommended replacement part. OE-specified Oil included. Click For More Info 1996 - 2000 C3500 ALL V8 5.7 ALL ALL ALL OE recommended replacement part. OE-specified Oil included. Click For More Info 1996 - 2000 C3500 ALL V8 6.5 ALL ALL ALL OE recommended replacement part. OE-specified Oil included. Click For More Info 1996 - 2000 C3500 ALL V8 7.4 ALL ALL ALL OE recommended replacement part. OE-specified Oil included. Click For More Info 2004 - 2006 CANYON ALL L4 2.8 ALL ALL ALL DENSO is the OE supplier for this vehicle; OE-specified Oil included. Click For More Info 2004 - 2006 CANYON ALL L5 3.5 ALL ALL ALL DENSO is the OE supplier for this vehicle; OE-specified Oil included. Click For More Info 2007 - 2012 CANYON ALL L4 2.9 ALL ALL ALL DENSO is the OE supplier for this vehicle; OE-specified Oil included. Click For More Info 2007 - 2012 CANYON ALL L5 3.7 ALL ALL ALL DENSO is the OE supplier for this vehicle; OE-specified Oil included. Click For More Info 2002 - 2009 ENVOY ALL L6 4.2 ALL ALL ALL OE recommended replacement part. OE-specified Oil included. Click For More Info 2005 - 2005 ENVOY ALL V8 5.3 ALL ALL ALL OE recommended replacement part. OE-specified Oil included. Click For More Info 2006 - 2007 ENVOY DENALI V8 5.3 ALL ALL ALL OE recommended replacement part. OE-specified Oil included. Click For More Info 2006 - 2007 ENVOY SLE L6 4.2 ALL ALL ALL OE recommended replacement part. OE-specified Oil included. Click For More Info 2006 - 2007 ENVOY SLT L6 4.2 ALL ALL ALL OE recommended replacement part. OE-specified Oil included. Click For More Info 2002 - 2006 ENVOY XL ALL L6 4.2 ALL ALL ALL OE recommended replacement part. OE-specified Oil included. Click For More Info 2003 - 2006 ENVOY XL ALL V8 5.3 ALL ALL ALL OE recommended replacement part. OE-specified Oil included. Click For More Info 2004 - 2005 ENVOY XUV ALL V8 5.3 ALL ALL ALL OE recommended replacement part. OE-specified Oil included. Click For More Info 2004 - 2005 ENVOY XUV ALL L6 4.2 ALL ALL ALL OE recommended replacement part. OE-specified Oil included. Click For More Info 1996 - 1998 JIMMY ALL V6 4.3 ALL ALL ALL OE recommended replacement part. OE-specified Oil included. Click For More Info 1999 - 2001 JIMMY ALL V6 4.3 ALL ALL ALL OE recommended replacement part. OE-specified Oil included. Click For More Info 1996 - 1998 K1500 ALL V6 4.3 ALL ALL ALL OE recommended replacement part. OE-specified Oil included. Click For More Info 1996 - 1998 K1500 ALL V8 6.5 ALL ALL ALL OE recommended replacement part. OE-specified Oil included. Click For More Info 1996 - 1999 K1500 ALL V8 5.0 ALL ALL ALL OE recommended replacement part. OE-specified Oil included. Click For More Info 1996 - 1999 K1500 ALL V8 5.7 ALL ALL ALL OE recommended replacement part. OE-specified Oil included. Click For More Info 1996 - 1999 K1500 SUBURBAN ALL V8 5.7 ALL ALL ALL OE recommended replacement part. OE-specified Oil included. Click For More Info 1996 - 1999 K1500 SUBURBAN ALL V8 6.5 ALL ALL ALL OE recommended replacement part. OE-specified Oil included. Click For More Info 1996 - 2000 K2500 ALL V8 5.7 ALL ALL ALL OE recommended replacement part. OE-specified Oil included. Click For More Info 1996 - 2000 K2500 ALL V8 6.5 ALL ALL ALL OE recommended replacement part. OE-specified Oil included. Click For More Info 1996 - 2000 K2500 ALL V8 7.4 ALL ALL ALL OE recommended replacement part. OE-specified Oil included. Click For More Info 1998 - 1998 K2500 ALL V8 5.0 ALL ALL ALL OE recommended replacement part. OE-specified Oil included. Click For More Info 1996 - 1999 K2500 SUBURBAN ALL V8 5.7 ALL ALL ALL OE recommended replacement part. OE-specified Oil included. Click For More Info 1996 - 1999 K2500 SUBURBAN ALL V8 6.5 ALL ALL ALL OE recommended replacement part. OE-specified Oil included. Click For More Info 1996 - 1999 K2500 SUBURBAN ALL V8 7.4 ALL ALL ALL OE recommended replacement part. OE-specified Oil included. Click For More Info 1996 - 2000 K3500 ALL V8 5.7 ALL ALL ALL OE recommended replacement part. OE-specified Oil included. Click For More Info 1996 - 2000 K3500 ALL V8 6.5 ALL ALL ALL OE recommended replacement part. OE-specified Oil included. Click For More Info 1996 - 2000 K3500 ALL V8 7.4 ALL ALL ALL OE recommended replacement part. OE-specified Oil included. 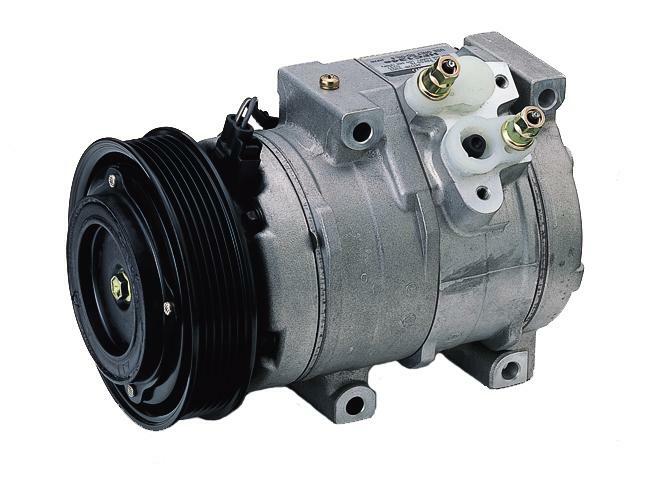 Click For More Info 1994 - 1999 P3500 ALL V6 4.3 ALL ALL ALL OE recommended replacement part. OE-specified Oil included. Click For More Info 1994 - 1999 P3500 ALL V8 5.7 ALL ALL ALL OE recommended replacement part. OE-specified Oil included. Click For More Info 1995 - 1999 P3500 ALL V8 7.4 ALL ALL ALL OE recommended replacement part. OE-specified Oil included. Click For More Info 1996 - 1999 P3500 ALL V8 6.5 ALL ALL ALL OE recommended replacement part. OE-specified Oil included. Click For More Info 1996 - 2005 SAFARI ALL V6 4.3 ALL ALL ALL OE recommended replacement part. OE-specified Oil included. Click For More Info 1996 - 2002 SAVANA 1500 ALL V6 4.3 ALL ALL ALL OE recommended replacement part. OE-specified Oil included. Click For More Info 1996 - 2002 SAVANA 1500 ALL V8 5.0 ALL ALL ALL OE recommended replacement part. OE-specified Oil included. Click For More Info 1996 - 2002 SAVANA 1500 ALL V8 5.7 ALL ALL ALL OE recommended replacement part. OE-specified Oil included. Click For More Info 2003 - 2006 SAVANA 1500 ALL V8 5.3 ALL ALL ALL DENSO is the OE supplier for this vehicle; OE-specified Oil included. Click For More Info 2003 - 2007 SAVANA 1500 ALL V6 4.3 ALL ALL ALL DENSO is the OE supplier for this vehicle; OE-specified Oil included. Click For More Info 1996 - 1997 SAVANA 2500 BASE V6 4.3 ALL ALL ALL OE recommended replacement part. OE-specified Oil included. Click For More Info 1996 - 2002 SAVANA 2500 ALL V8 5.0 ALL ALL ALL OE recommended replacement part. OE-specified Oil included. Click For More Info 1996 - 2002 SAVANA 2500 ALL V8 5.7 ALL ALL ALL OE recommended replacement part. OE-specified Oil included. Click For More Info 1996 - 2002 SAVANA 2500 ALL V8 6.5 ALL ALL ALL OE recommended replacement part. OE-specified Oil included. Click For More Info 1998 - 2002 SAVANA 2500 ALL V6 4.3 ALL ALL ALL OE recommended replacement part. OE-specified Oil included. Click For More Info 2003 - 2005 SAVANA 2500 ALL V6 4.3 ALL ALL ALL DENSO is the OE supplier for this vehicle; OE-specified Oil included. Click For More Info 2003 - 2005 SAVANA 2500 ALL V8 5.3 ALL ALL ALL DENSO is the OE supplier for this vehicle; OE-specified Oil included. Click For More Info 2003 - 2006 SAVANA 2500 ALL V8 4.8 ALL ALL ALL DENSO is the OE supplier for this vehicle; OE-specified Oil included. Click For More Info 2003 - 2006 SAVANA 2500 ALL V8 6.0 ALL ALL ALL DENSO is the OE supplier for this vehicle; OE-specified Oil included. Click For More Info 2006 - 2007 SAVANA 2500 ALL V8 6.6 ALL ALL ALL DENSO is the OE supplier for this vehicle; OE-specified Oil included. Click For More Info 1996 - 2000 SAVANA 3500 ALL V8 7.4 ALL ALL ALL OE recommended replacement part. OE-specified Oil included. Click For More Info 1996 - 2002 SAVANA 3500 ALL V8 5.7 ALL ALL ALL OE recommended replacement part. OE-specified Oil included. Click For More Info 1996 - 2002 SAVANA 3500 ALL V8 6.5 ALL ALL ALL OE recommended replacement part. OE-specified Oil included. Click For More Info 2001 - 2002 SAVANA 3500 ALL V8 8.1 ALL ALL ALL OE recommended replacement part. OE-specified Oil included. Click For More Info 2003 - 2006 SAVANA 3500 ALL V8 6.0 ALL ALL ALL DENSO is the OE supplier for this vehicle; OE-specified Oil included. Click For More Info 2004 - 2006 SAVANA 3500 ALL V8 4.8 ALL ALL ALL DENSO is the OE supplier for this vehicle; OE-specified Oil included. Click For More Info 2006 - 2007 SAVANA 3500 ALL V8 6.6 ALL ALL ALL DENSO is the OE supplier for this vehicle; OE-specified Oil included. Click For More Info 1999 - 1999 SIERRA 1500 ALL V8 4.8 ALL ALL ALL OE recommended replacement part. Click For More Info 1999 - 2001 SIERRA 1500 ALL V8 5.3 ALL ALL ALL OE recommended replacement part. Click For More Info 1999 - 2002 SIERRA 1500 ALL V6 4.3 ALL ALL ALL OE recommended replacement part. OE-specified Oil included. Click For More Info 2003 - 2006 SIERRA 1500 ALL V8 5.3 ALL ALL ALL DENSO is the OE supplier for this vehicle; OE-specified Oil included. Click For More Info 2003 - 2008 SIERRA 1500 ALL V8 4.8 ALL ALL ALL DENSO is the OE supplier for this vehicle; OE-specified Oil included. Click For More Info 2003 - 2010 SIERRA 1500 ALL V6 4.3 ALL ALL ALL DENSO is the OE supplier for this vehicle; OE-specified Oil included. Click For More Info 2004 - 2008 SIERRA 1500 ALL V8 6.0 ALL ALL ALL DENSO is the OE supplier for this vehicle; OE-specified Oil included. Click For More Info 2007 - 2007 SIERRA 1500 SLE V8 5.3 ALL ALL ALL DENSO is the OE supplier for this vehicle; OE-specified Oil included. Click For More Info 2007 - 2007 SIERRA 1500 SLE V8 6.0 ALL ALL ALL DENSO is the OE supplier for this vehicle; OE-specified Oil included. Click For More Info 2007 - 2008 SIERRA 1500 ALL V8 6.2 ALL ALL ALL DENSO is the OE supplier for this vehicle; OE-specified Oil included. Click For More Info 2008 - 2008 SIERRA 1500 ALL V8 5.3 ALL ALL FLEX DENSO is the OE supplier for this vehicle; OE-specified Oil included. Click For More Info 2008 - 2008 SIERRA 1500 ALL V8 5.3 ALL ALL GAS DENSO is the OE supplier for this vehicle; OE-specified Oil included. Click For More Info 2009 - 2009 SIERRA 1500 ALL V8 6.0 ALL ALL ALL DENSO is the OE supplier for this vehicle; OE-specified Oil included. Click For More Info 2009 - 2010 SIERRA 1500 ALL V8 4.8 ALL ALL ALL DENSO is the OE supplier for this vehicle; OE-specified Oil included. Click For More Info 2009 - 2010 SIERRA 1500 ALL V8 5.3 ALL ALL ALL DENSO is the OE supplier for this vehicle; OE-specified Oil included. Click For More Info 2009 - 2010 SIERRA 1500 ALL V8 6.2 ALL ALL ALL DENSO is the OE supplier for this vehicle; OE-specified Oil included. Click For More Info 2001 - 2001 SIERRA 1500 HD ALL V8 6.0 ALL ALL ALL OE recommended replacement part. Click For More Info 2003 - 2006 SIERRA 1500 HD ALL V8 6.0 ALL ALL ALL DENSO is the OE supplier for this vehicle; OE-specified Oil included. Click For More Info 2007 - 2007 SIERRA 1500 HD CLASSIC ALL V8 6.0 ALL ALL ALL DENSO is the OE supplier for this vehicle; OE-specified Oil included. Click For More Info 1999 - 1999 SIERRA 2500 ALL V8 5.3 ALL ALL ALL OE recommended replacement part. Click For More Info 1999 - 2001 SIERRA 2500 ALL V8 6.0 ALL ALL ALL OE recommended replacement part. Click For More Info 2001 - 2001 SIERRA 2500 HD ALL V8 6.0 ALL ALL ALL OE recommended replacement part. Click For More Info 2001 - 2001 SIERRA 2500 HD ALL V8 8.1 ALL ALL ALL OE recommended replacement part. Click For More Info 2001 - 2002 SIERRA 2500 HD ALL V8 6.6 ALL ALL ALL w/o Ambulance Pkg. Click For More Info 2003 - 2006 SIERRA 2500 HD ALL V8 8.1 ALL ALL ALL DENSO is the OE supplier for this vehicle; OE-specified Oil included. Click For More Info 2003 - 2008 SIERRA 2500 HD ALL V8 6.0 ALL ALL ALL DENSO is the OE supplier for this vehicle; OE-specified Oil included. Click For More Info 2003 - 2010 SIERRA 2500 HD ALL V8 6.6 ALL ALL ALL DENSO is the OE supplier for this vehicle; OE-specified Oil included. Click For More Info 2009 - 2010 SIERRA 2500 HD ALL V8 6.0 ALL ALL ALL DENSO is the OE supplier for this vehicle; OE-specified Oil included. Click For More Info 2007 - 2007 SIERRA 2500 HD CLASSIC ALL V8 6.6 ALL ALL ALL DENSO is the OE supplier for this vehicle; OE-specified Oil included. Click For More Info 2007 - 2007 SIERRA 2500 HD CLASSIC ALL V8 6.0 ALL ALL ALL DENSO is the OE supplier for this vehicle; OE-specified Oil included. Click For More Info 2007 - 2007 SIERRA 2500 HD CLASSIC ALL V8 8.1 ALL ALL ALL DENSO is the OE supplier for this vehicle; OE-specified Oil included. Click For More Info 2001 - 2001 SIERRA 3500 ALL V8 6.0 ALL ALL ALL OE recommended replacement part. Click For More Info 2001 - 2001 SIERRA 3500 ALL V8 8.1 ALL ALL ALL OE recommended replacement part. Click For More Info 2001 - 2001 SIERRA 3500 ALL V8 6.6 ALL ALL ALL w/o Ambulance Pkg. Click For More Info 2003 - 2006 SIERRA 3500 ALL V8 6.0 ALL ALL ALL DENSO is the OE supplier for this vehicle; OE-specified Oil included. Click For More Info 2003 - 2006 SIERRA 3500 ALL V8 8.1 ALL ALL ALL DENSO is the OE supplier for this vehicle; OE-specified Oil included. Click For More Info 2003 - 2006 SIERRA 3500 ALL V8 6.6 ALL ALL ALL DENSO is the OE supplier for this vehicle; OE-specified Oil included. Click For More Info 2007 - 2007 SIERRA 3500 CLASSIC ALL V8 6.6 ALL ALL ALL DENSO is the OE supplier for this vehicle; OE-specified Oil included. Click For More Info 2007 - 2007 SIERRA 3500 CLASSIC ALL V8 6.0 ALL ALL ALL DENSO is the OE supplier for this vehicle; OE-specified Oil included. Click For More Info 2007 - 2007 SIERRA 3500 CLASSIC ALL V8 8.1 ALL ALL ALL DENSO is the OE supplier for this vehicle; OE-specified Oil included. Click For More Info 2007 - 2007 SIERRA 3500 HD SLE V8 6.0 ALL ALL ALL DENSO is the OE supplier for this vehicle; OE-specified Oil included. Click For More Info 2007 - 2007 SIERRA 3500 HD WT V8 6.0 ALL ALL ALL DENSO is the OE supplier for this vehicle; OE-specified Oil included. Click For More Info 2007 - 2010 SIERRA 3500 HD ALL V8 6.6 ALL ALL ALL DENSO is the OE supplier for this vehicle; OE-specified Oil included. Click For More Info 2008 - 2008 SIERRA 3500 HD ALL V8 6.0 ALL ALL ALL DENSO is the OE supplier for this vehicle; OE-specified Oil included. Click For More Info 2009 - 2010 SIERRA 3500 HD ALL V8 6.0 ALL ALL ALL DENSO is the OE supplier for this vehicle; OE-specified Oil included. Click For More Info 1996 - 1997 SONOMA ALL L4 2.2 ALL ALL ALL OE recommended replacement part. Click For More Info 1996 - 1998 SONOMA ALL V6 4.3 ALL ALL ALL OE recommended replacement part. OE-specified Oil included. Click For More Info 1998 - 2003 SONOMA ALL L4 2.2 ALL ALL ALL OE recommended replacement part. Click For More Info 1999 - 2004 SONOMA ALL V6 4.3 ALL ALL ALL OE recommended replacement part. OE-specified Oil included. Click For More Info 1996 - 1997 YUKON ALL V8 6.5 ALL ALL ALL OE recommended replacement part. OE-specified Oil included. Click For More Info 1996 - 2000 YUKON ALL V8 5.7 ALL ALL ALL OE recommended replacement part. OE-specified Oil included. Click For More Info 2002 - 2002 YUKON ALL V8 6.0 ALL ALL ALL DENSO is the OE supplier for this vehicle; OE-specified O-rings and Oil included. Click For More Info 2009 - 2009 YUKON ALL V8 4.8 ALL ALL ALL DENSO is the OE supplier for this vehicle; OE-specified Oil included. Click For More Info 2009 - 2009 YUKON ALL V8 5.3 ALL ALL ALL DENSO is the OE supplier for this vehicle; OE-specified Oil included. Click For More Info 2009 - 2009 YUKON ALL V8 6.2 ALL ALL ALL DENSO is the OE supplier for this vehicle; OE-specified Oil included. Click For More Info 2002 - 2009 YUKON XL 1500 ALL V8 6.0 ALL ALL ALL DENSO is the OE supplier for this vehicle; OE-specified Oil included. Click For More Info 2003 - 2009 YUKON XL 1500 ALL V8 5.3 ALL ALL ALL DENSO is the OE supplier for this vehicle; OE-specified Oil included. Click For More Info 2009 - 2009 YUKON XL 1500 ALL V8 6.2 ALL ALL ALL DENSO is the OE supplier for this vehicle; OE-specified Oil included. Click For More Info 2002 - 2004 YUKON XL 2500 ALL V8 8.1 ALL ALL ALL DENSO is the OE supplier for this vehicle; OE-specified Oil included. Click For More Info 2002 - 2009 YUKON XL 2500 ALL V8 6.0 ALL ALL ALL DENSO is the OE supplier for this vehicle; OE-specified Oil included.